Thanks for the tip, I snagged some more Sulus for future Trek projects. It's still going this week. They've also added if you spend $50 you get $10 off. And if you spend $100 you get $25 off. 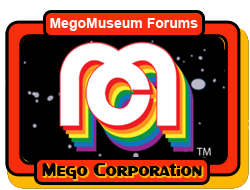 You could buy 11 Megos @ 9.99 and with the $25 off, its an average of $7.72 a figure. Pretty cheap supply of bodies. I just back from Target and picked up 3 more Trek (Sulu) figures. I am just hording them for customs down the road. Going again later in the week and hoping to find a store I haven't been to in awhile so I can take advantage of the big deal. I would love to load up on some for Trek customs, but there's only one lonely Romulan in my area and I need the boot crew bods. Paul's math is hard to pass, I may just do the boring mail order. I picked up 3 Alis on sale at my nearby Target today.